Bluetooth, support hands-free calling, GPS navigation systems, parking assistance and pressing the buttons on the steering wheel to control. 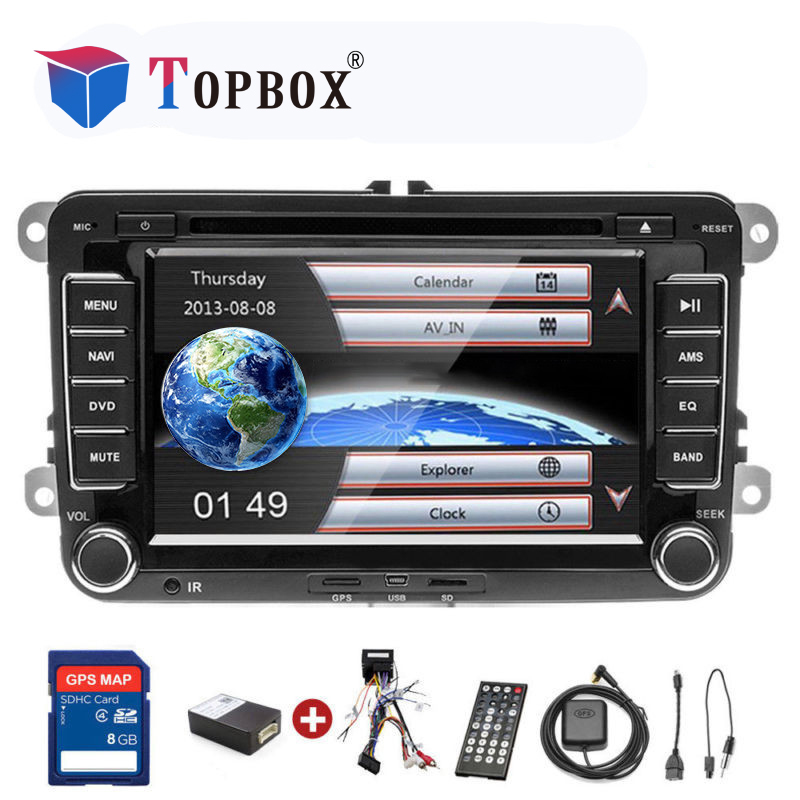 1.Topbox Multi-functional Head Unit which is special for Volkswagen: Double Din 7.0 inch TFT high definition screen with WVGA led display,new dual CPU, faster reaction speed, more stable behavior and stronger functions. 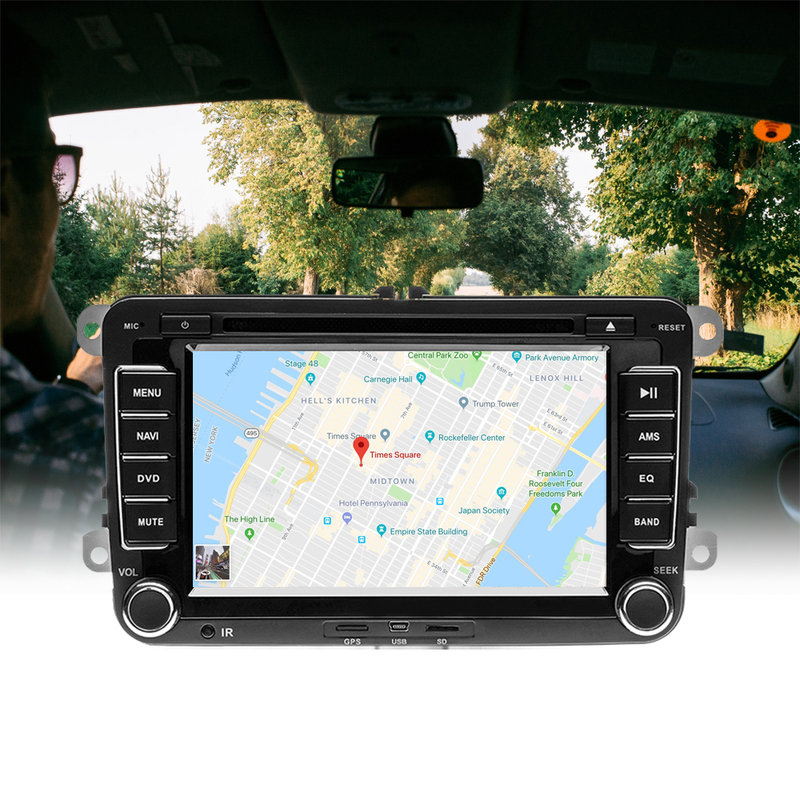 In addition, GPS Navigation Systems, Parking Assist (with Guidance Line), Bluetooth Hands-Free ect, (NOTE: Not include rear view camera). 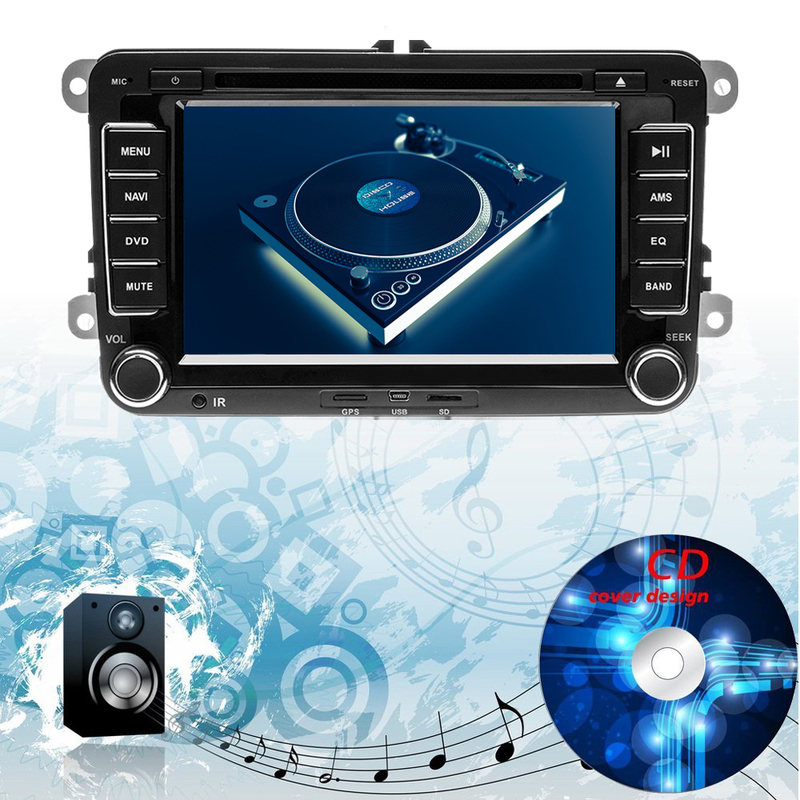 2.Great audio performance: This car audio which builds in high quality stereo audio, CD / AM / Fm receiver aims to allow easier access to high fidelity audio. Show songs, have fun! 3.Intra-bluetooth for hand blues: When you enter your car, you just need to fast connect to bluetooth to answer hands-free calls. compatible with iPhone and Android. 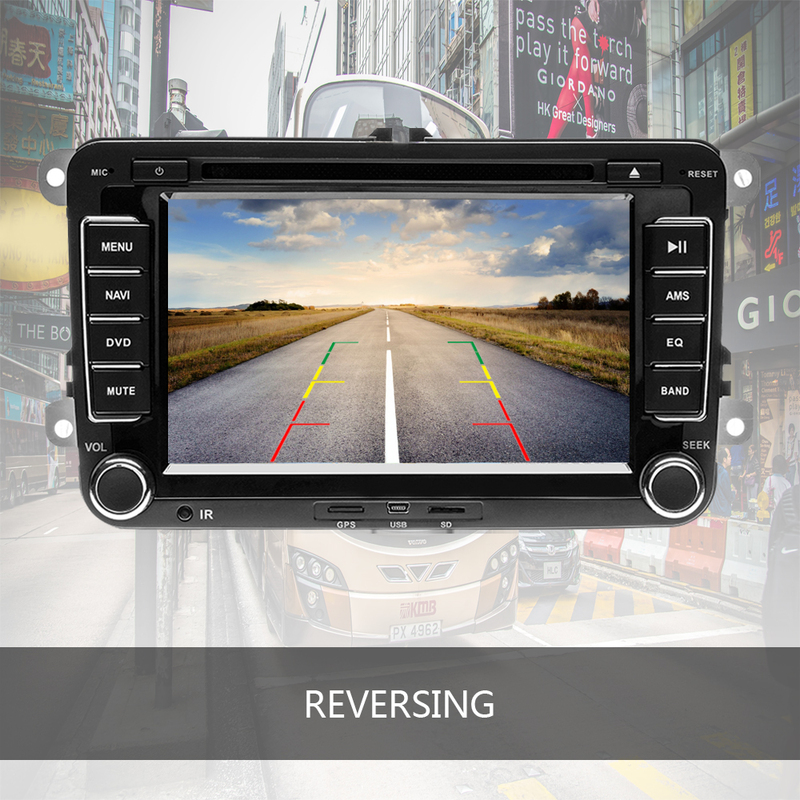 And you can control the device remotely by IR remote control or by pressing the buttons on the steering wheel. It\'s more practical and safe. 4. Supports multiple formats: Supports audio playback: DVD-R, DVD-RW, VCD, SVCD, CD, WMA, MP4, MP3, AVI, JPEG, PNG etc. 5. Support for video playback: RMVB, AVI, MPEG-2, MWV, ASF. Auxiliary audio input, USB / SD (5V) support. 6. Easy to install: It can be easily installed by simply sliding the unit into the sleeve, and add the removable plate (screw included). 1.It need to add a frame for a part of models, if you can\'t make sure, please check the size or contact with us. 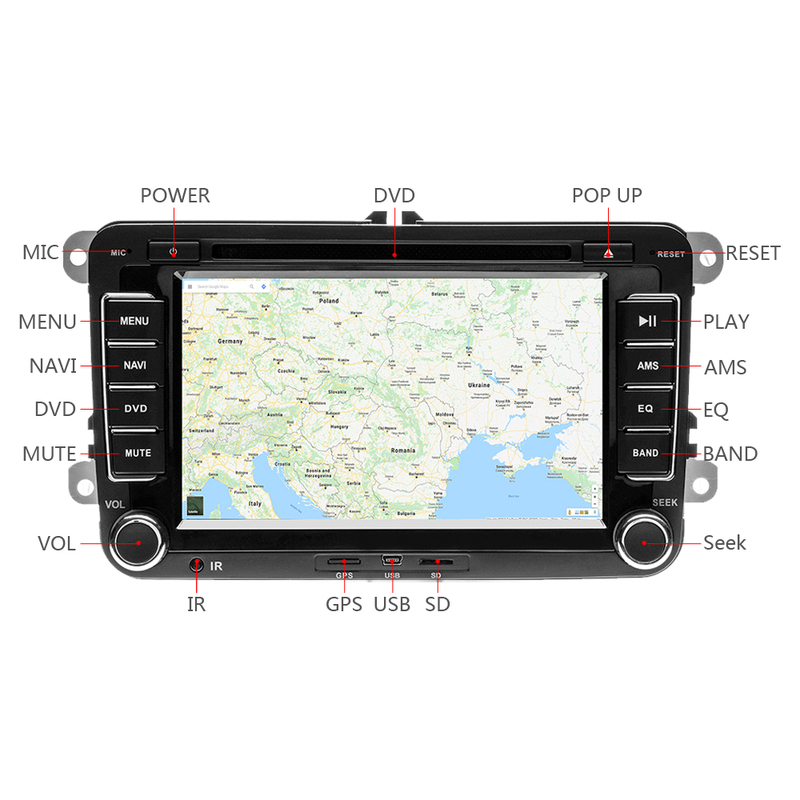 2.If you need the Car DVD Player ,please choose option 1,if you need the Car DVD Player with Rear camera(Back Up Camera),please choose others option ,thanks! 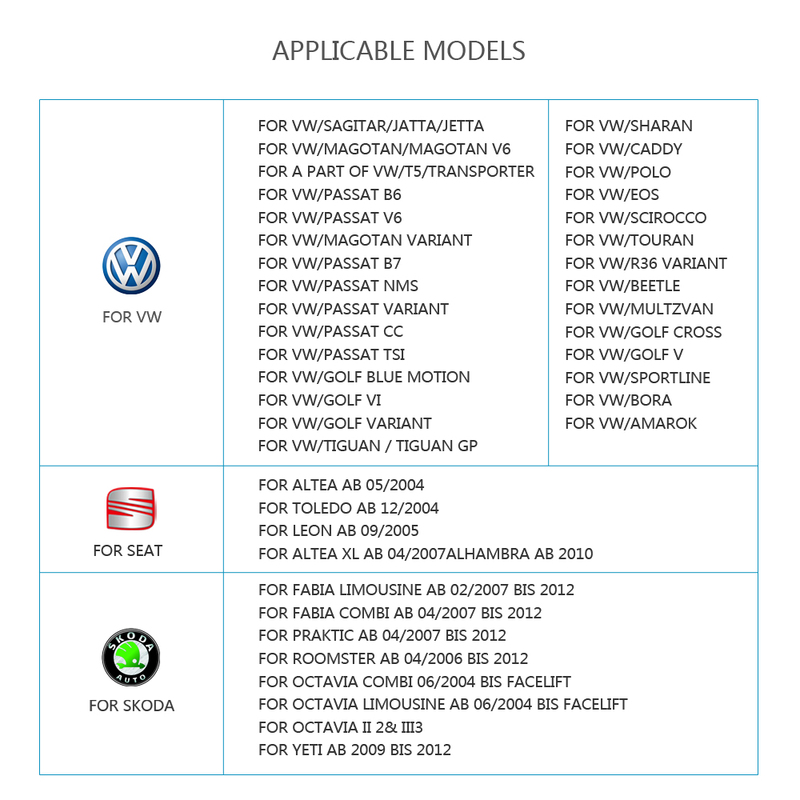 3.For the cars, which produced in 2014/2015/2016/2017, before you purchase, please contact with us. They may have different connectors and canbus, we will tell you how to purchase the correct one. 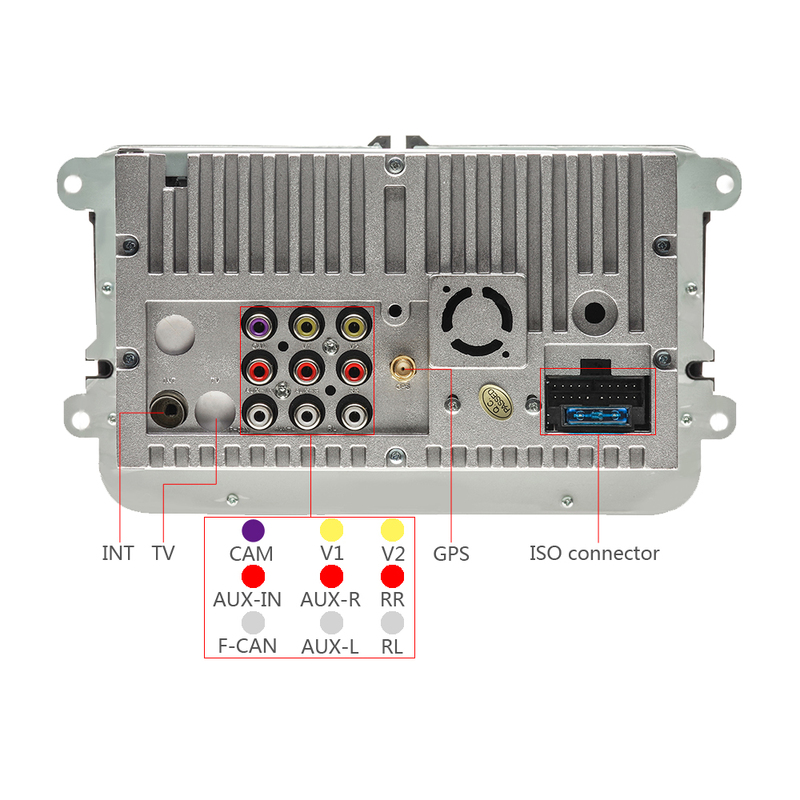 If the connectors and canbus can\'t work with your car but you haven\'t contacted with us, we will not pay the returned shipping fee. 5.Oceanica : Australia, New Zealand.